Residents and staff at Cilymaenllwyd enjoyed a special VE Day celebration. Tables were arranged in rows and everybody had a wonderful lunch in a street party atmosphere. 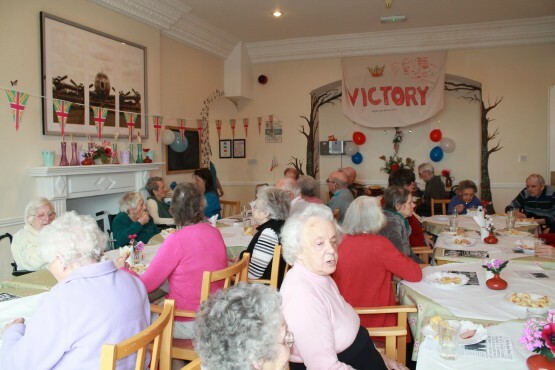 It was quite a hit and brought back some wonderful memories and stories. 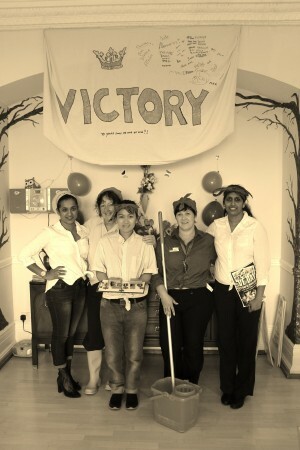 Staff dressed in land girl outfits to look the part. A very fun day for all!